“Man, I love this gym. Wait. Did I just say I love this gym? Everyone just wants you to have a great workout and be happy, which makes for a great atmosphere.” -Olivia H.
"Friendly, helpful staff. Gym is clean, well run, low key. 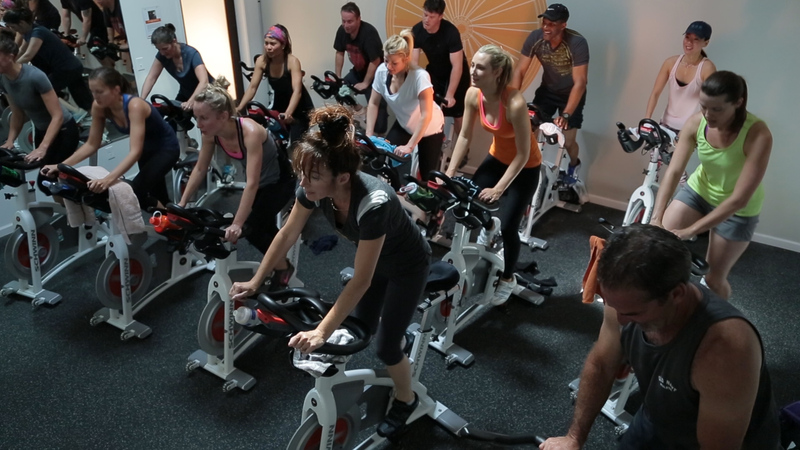 Experienced instructors, great spinning classes. Easy to design a personal workout schedule." "I really appreciate all of the amazing people who teach your classes and the variety you offer. I've really never felt more at home or comfortable in a gym, or felt a greater sense of community at one!" A successful circuit workout is all about going all out for 30 minutes. FLEX circuit training combines full body resistance training with core strengthening exercises and high intensity cardio, all important aspects of an effective workout routine. 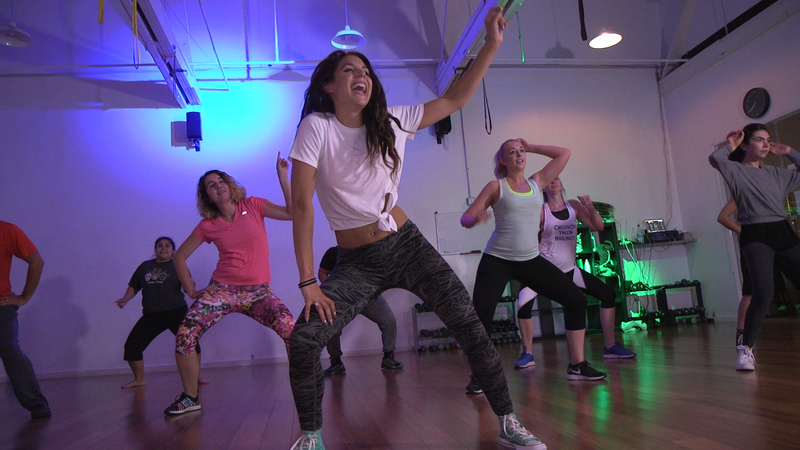 Each workout starts with a brief warm up on any of our cardio machines. Once the heart rate is elevated and muscles warm, you’ll perform a series of 24 exercises for a minute each while keeping the heart rate up for the entire circuit. Each station is strategically laid out so that no single muscle group or exercise type is performed in succession allowing you to maximize each minute. The key to success is performing each exercise correctly, using proper form and technique, finding the right resistance/reps, and progressing smartly as your level of fitness improves. 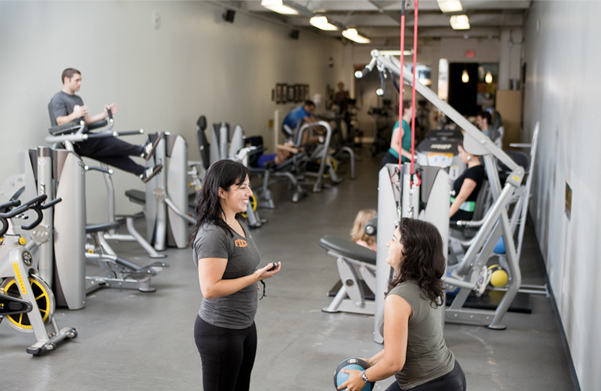 Our Personal Trainers and Fitness Assistants will teach you how to perform the workout safely and effectively. Circuit training improves both strength and endurance simultaneously. Since every circuit workout includes strength, core and endurance training, you will realize the benefits of all three types of exercise. The end result is improved conditioning, body composition, muscular strength, endurance, and cardiovascular fitness. Circuit training is great for weight loss. Circuit training incorporates endurance and strength training which helps increase lean muscle mass. Lean muscle mass results in a higher resting metabolism, therefore, more calories are burned throughout the day, even when the body is at rest. Circuit training offers the most workout in the least amount of time. Each exercise is completed one after the other without rest, therefore more work is completed in a shorter amount of time. Circuit training can improve bone density. The resistance training performed in the circuit helps promote bone density which helps prevent osteoporosis as we age. © Flex Circuit Gym. All Rights Reserved.